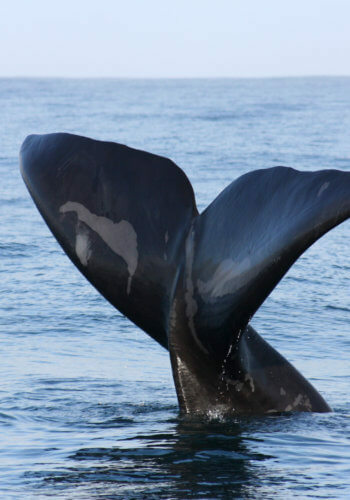 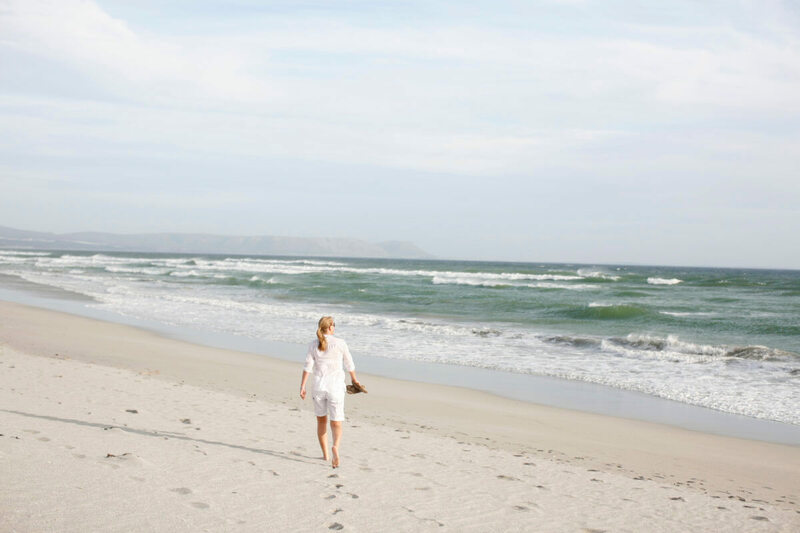 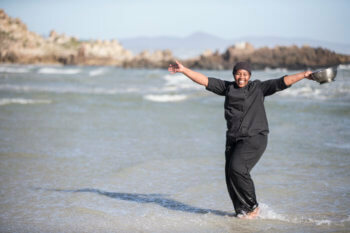 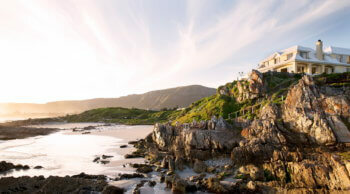 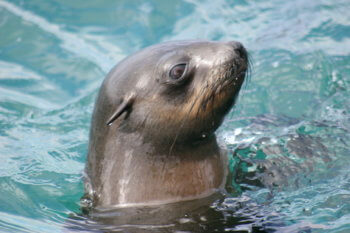 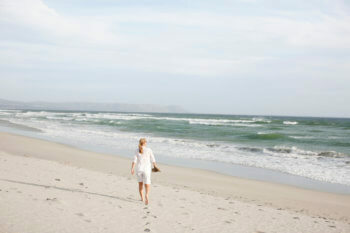 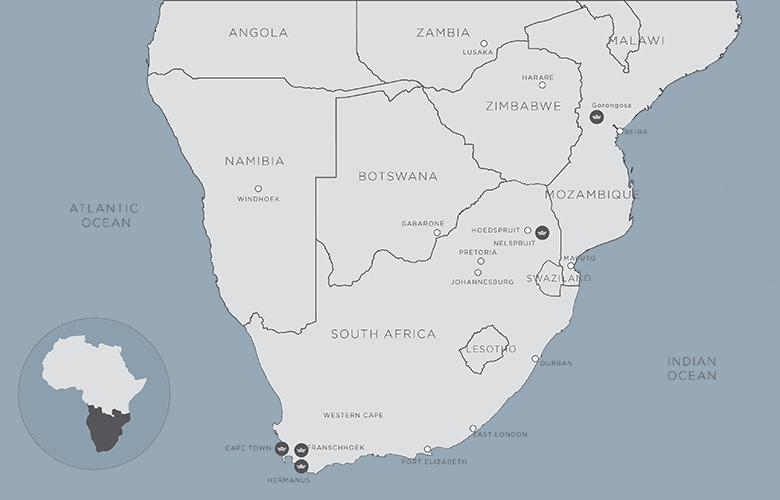 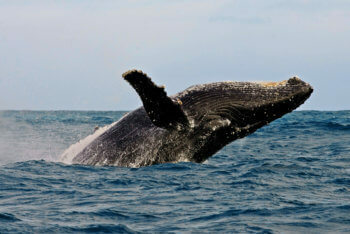 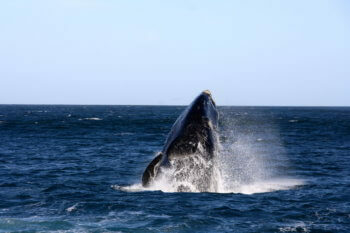 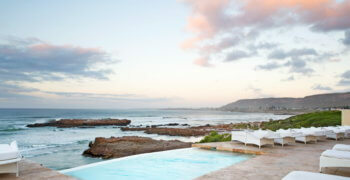 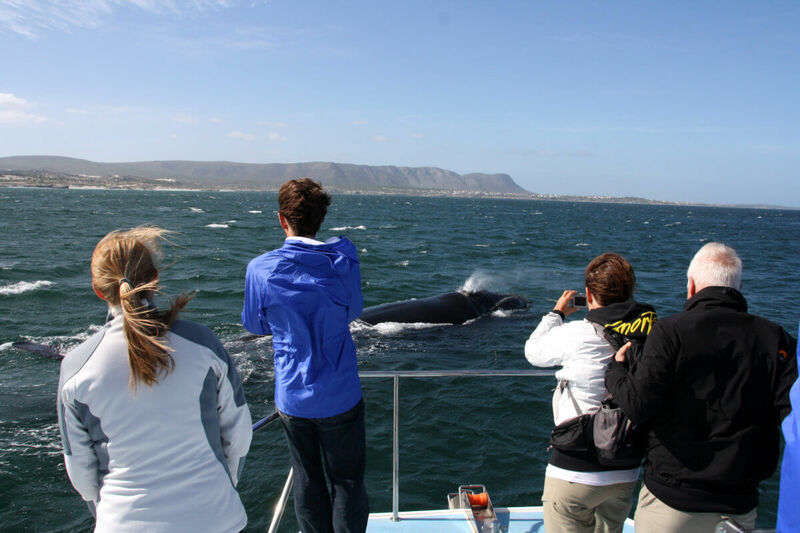 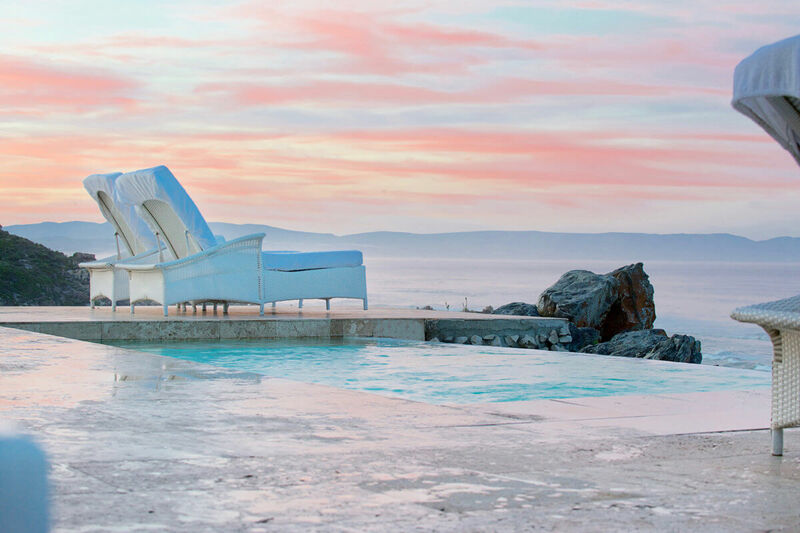 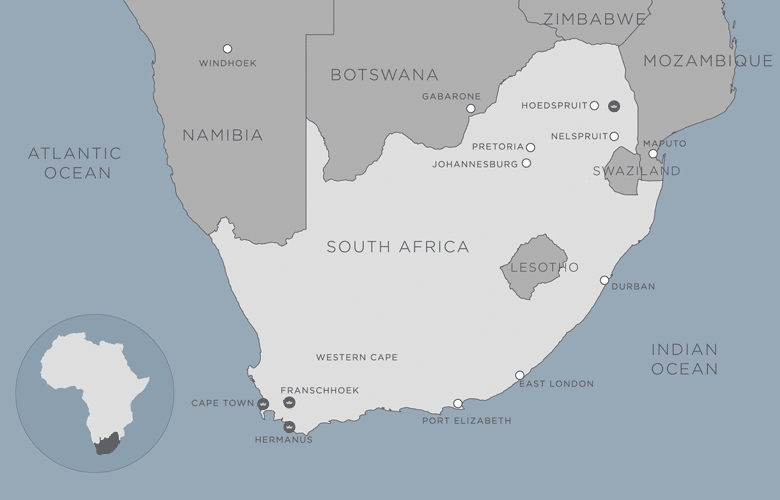 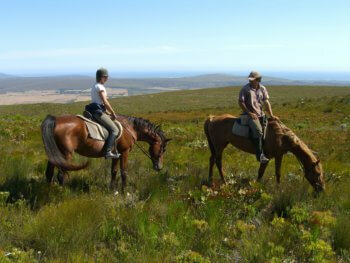 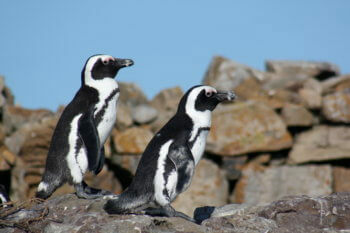 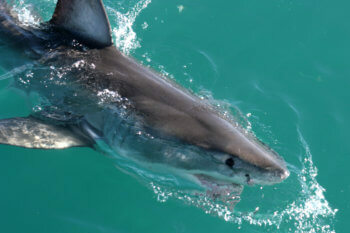 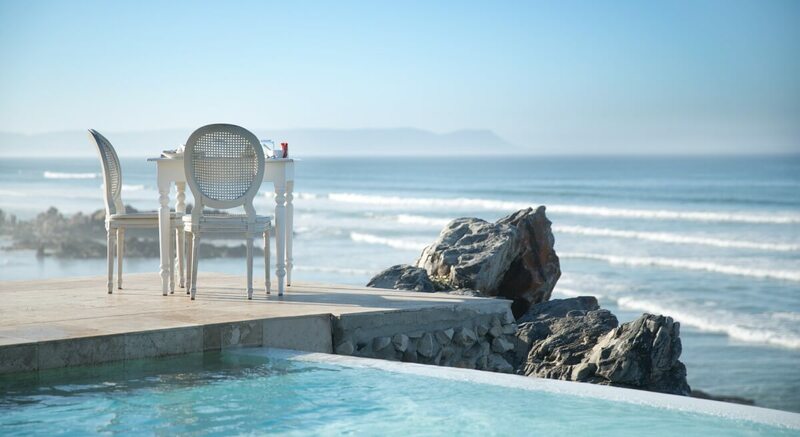 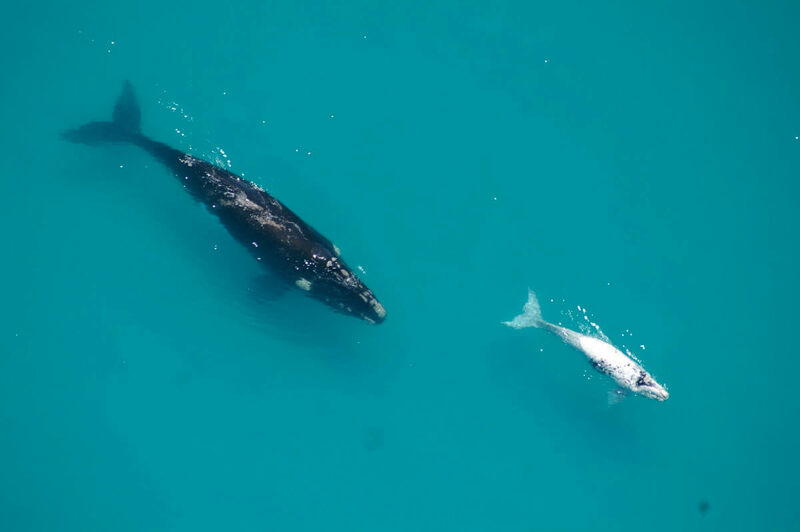 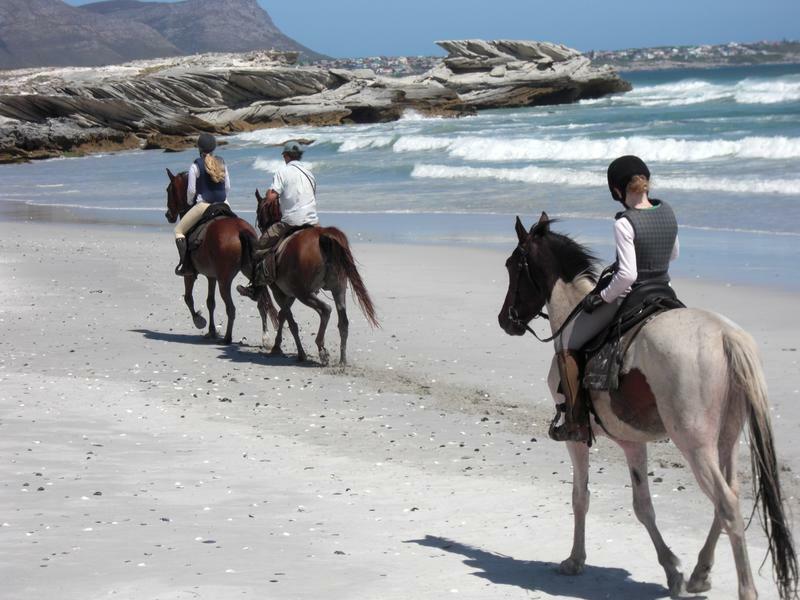 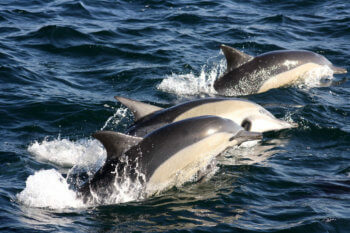 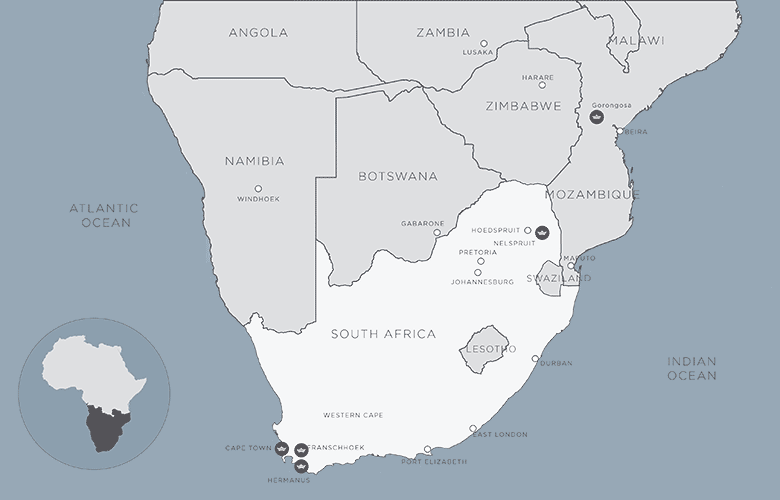 Birkenead House stands proudly above two of Hermanus's best swimming beaches. 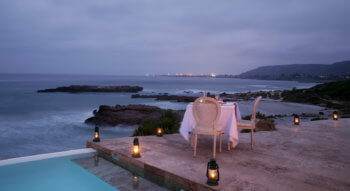 A serene view of the ocean from the Birkenhead house patio in hermanus. 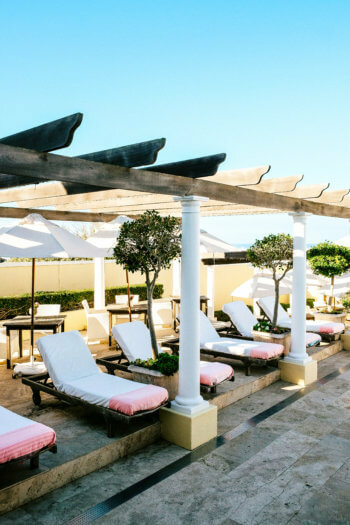 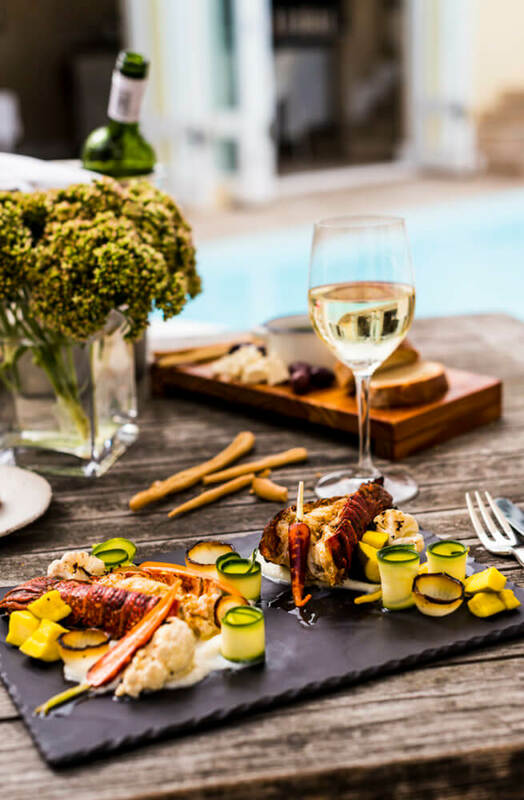 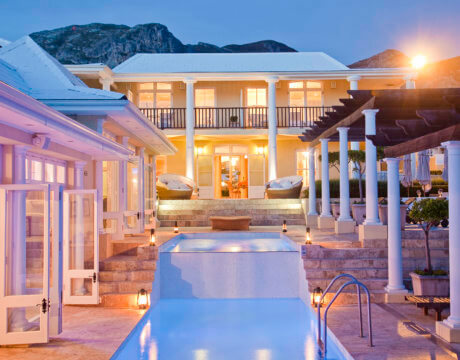 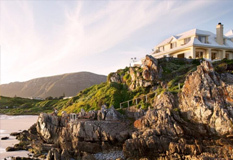 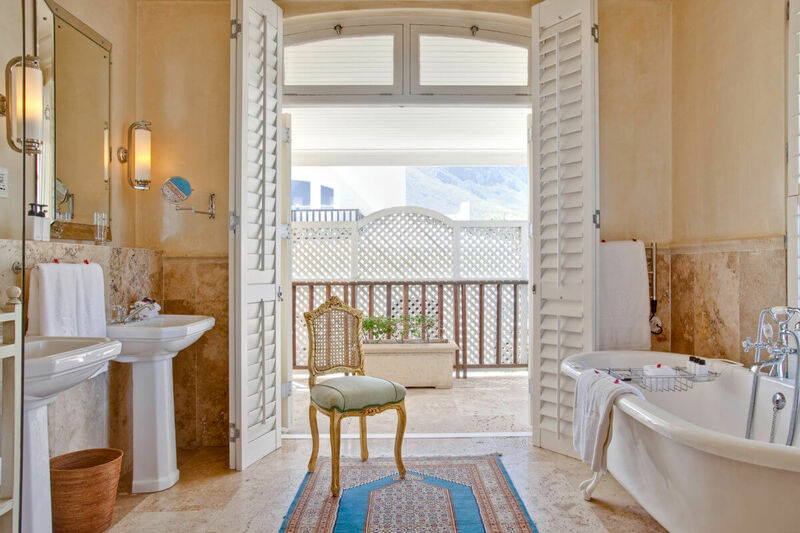 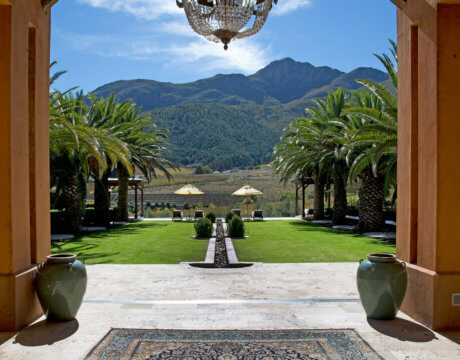 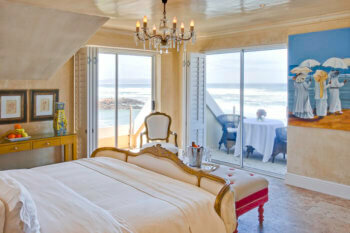 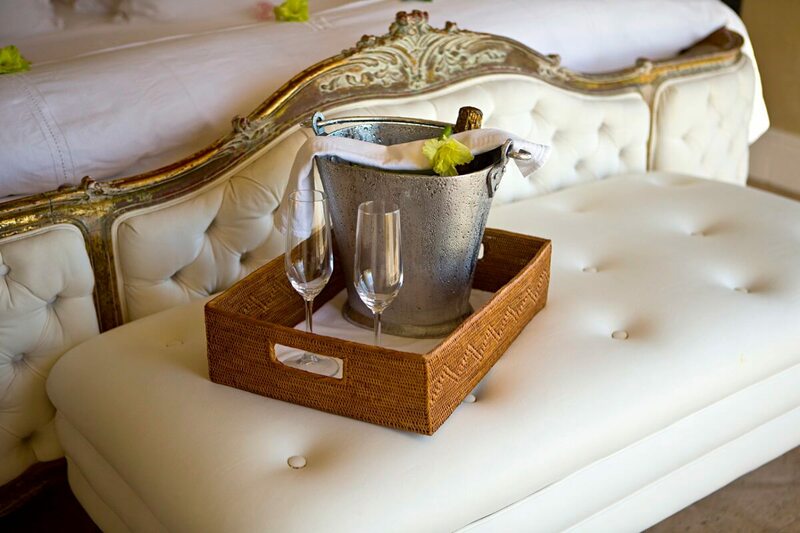 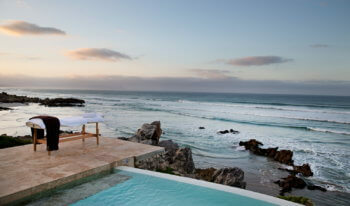 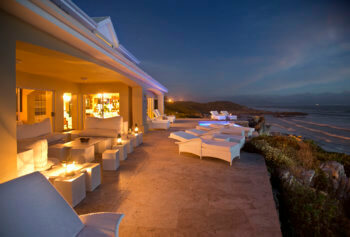 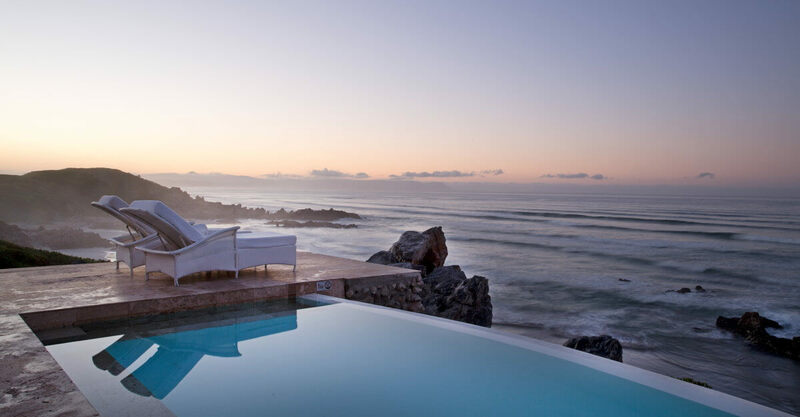 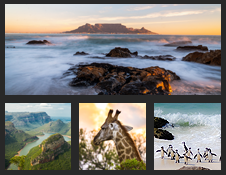 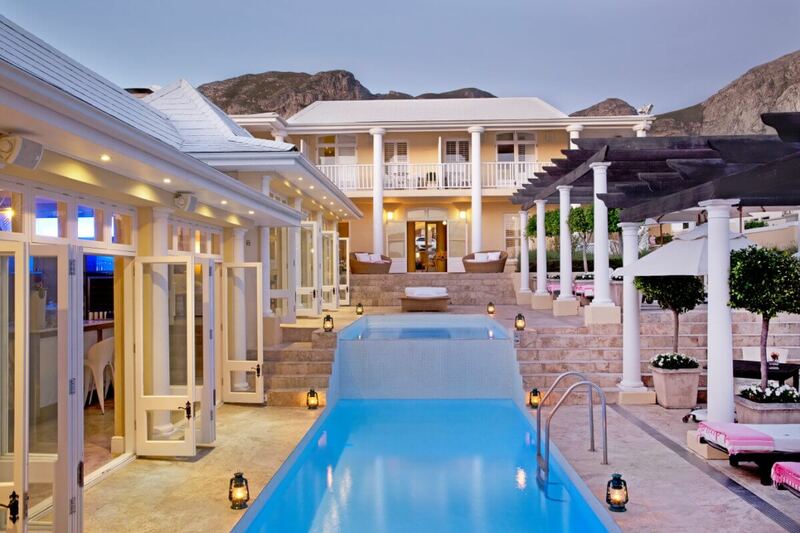 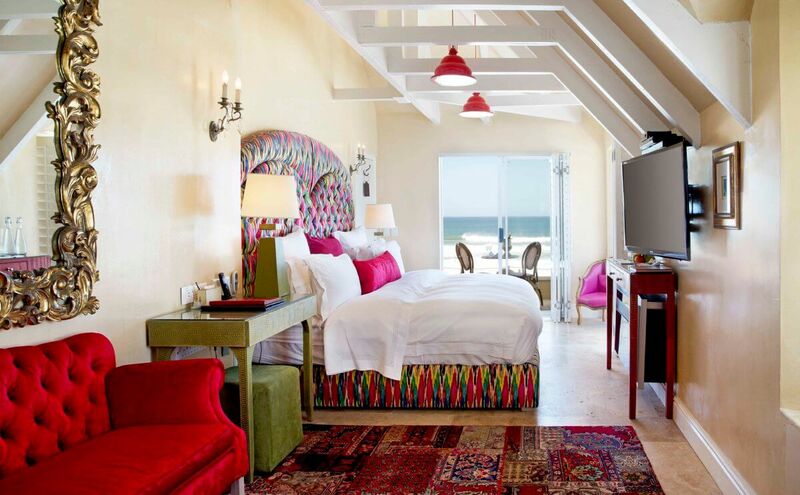 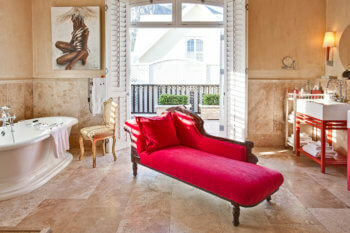 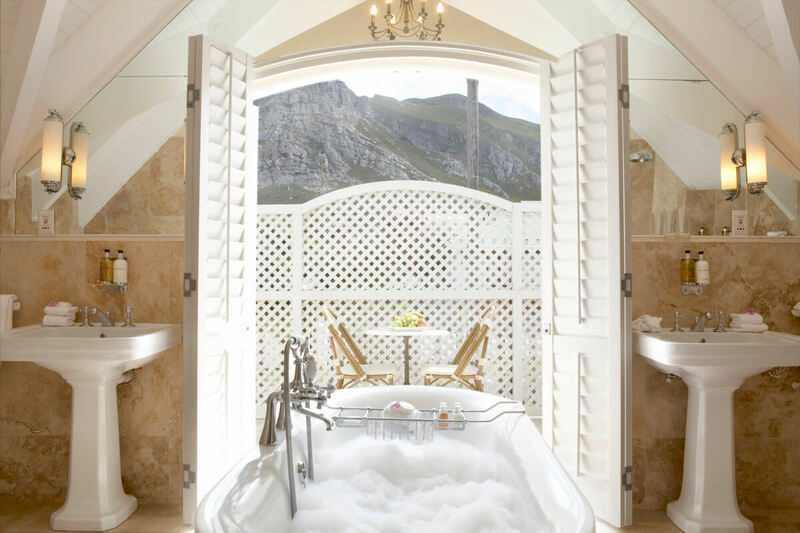 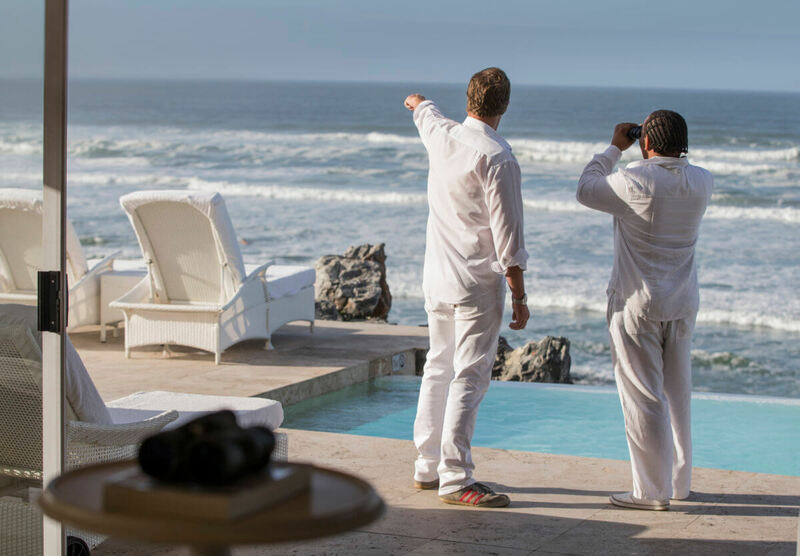 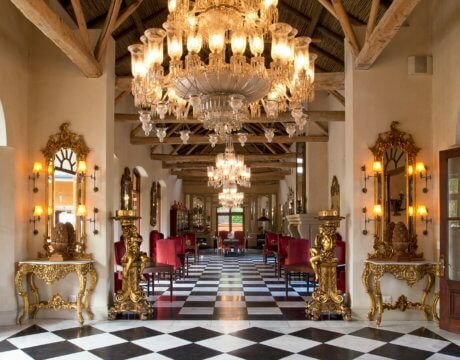 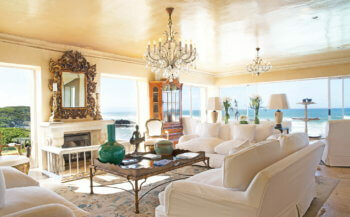 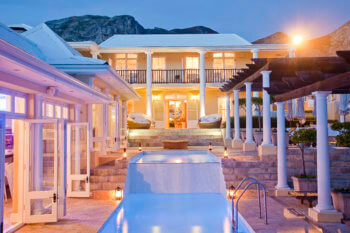 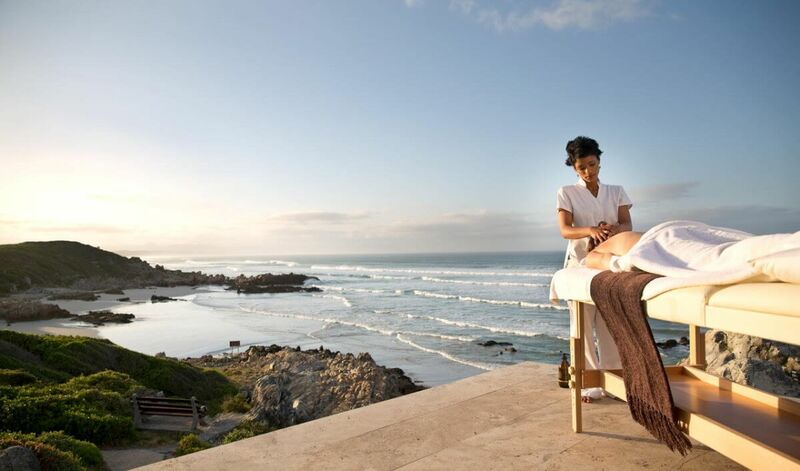 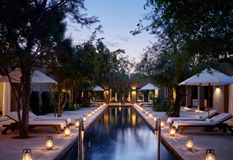 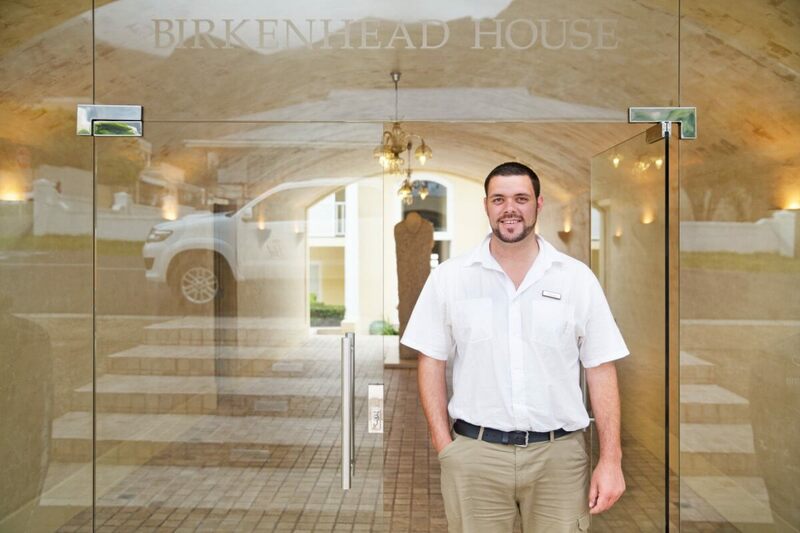 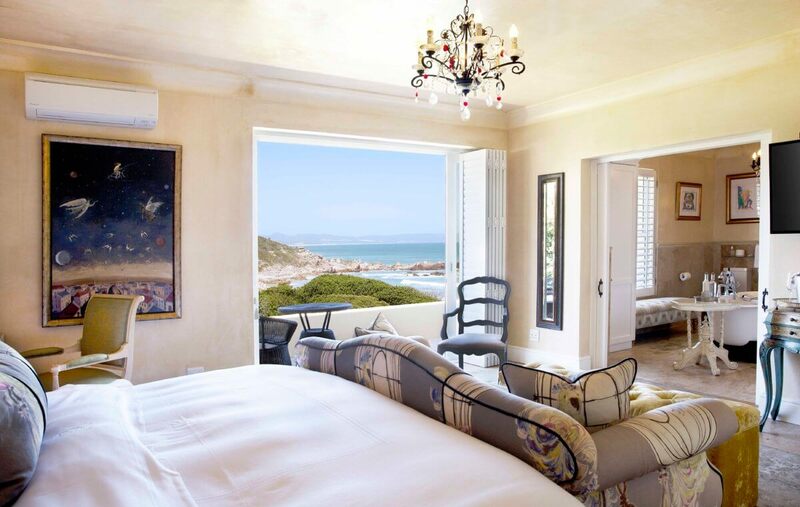 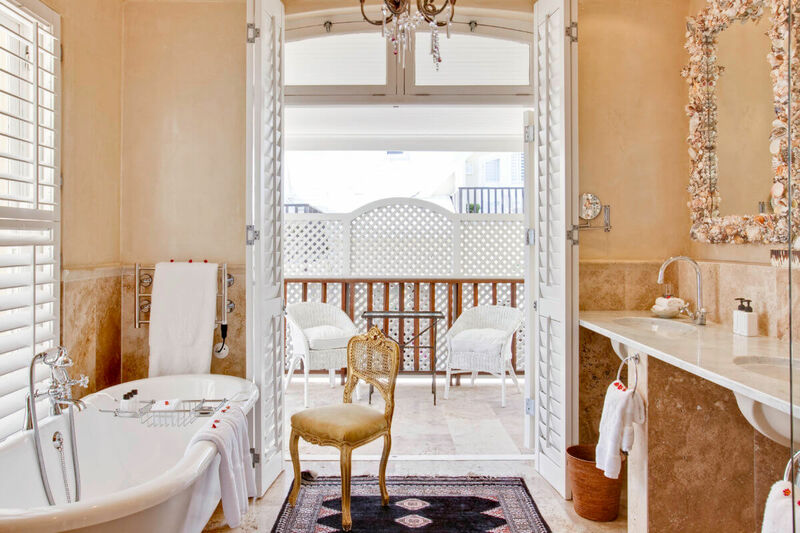 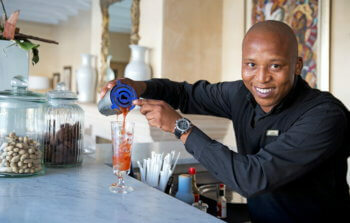 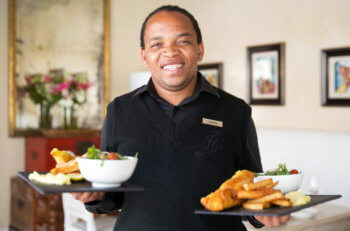 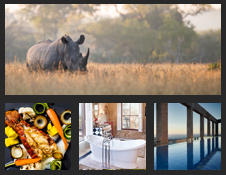 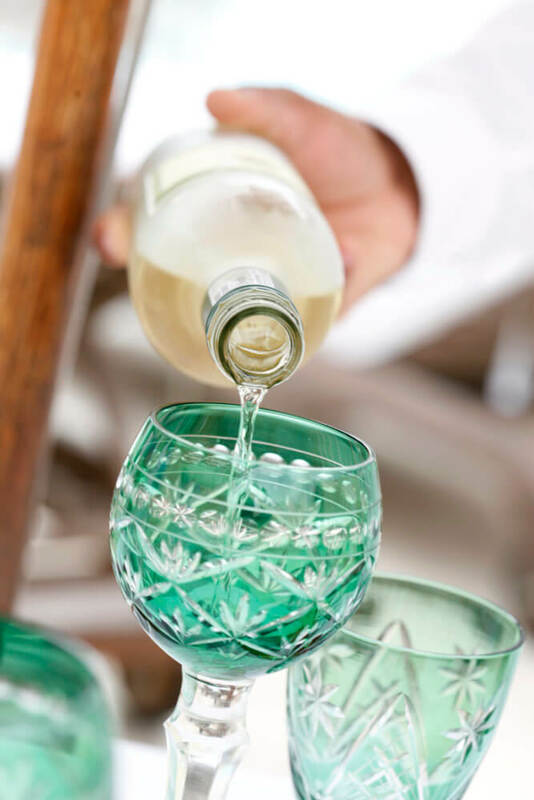 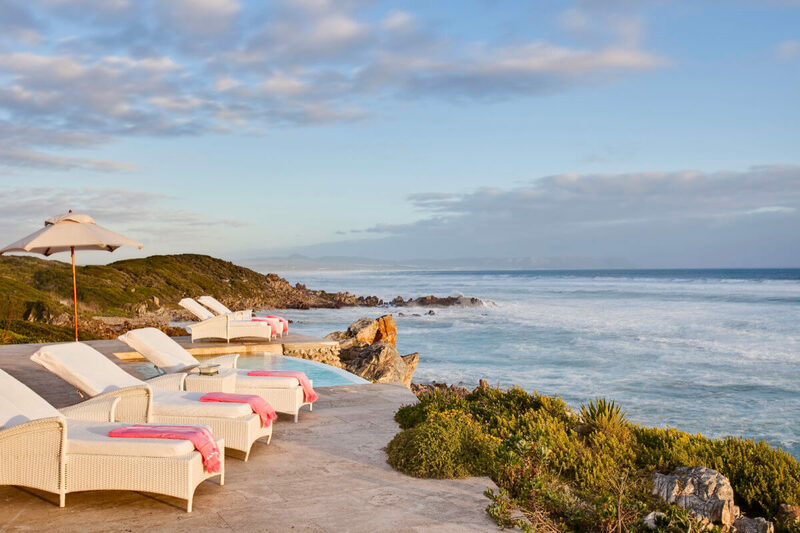 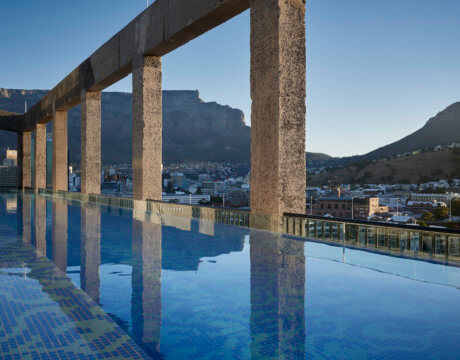 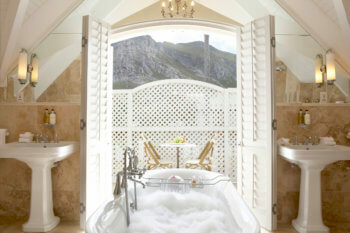 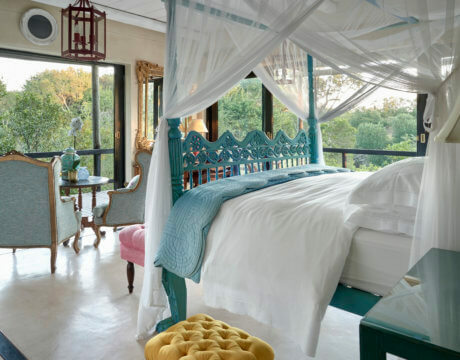 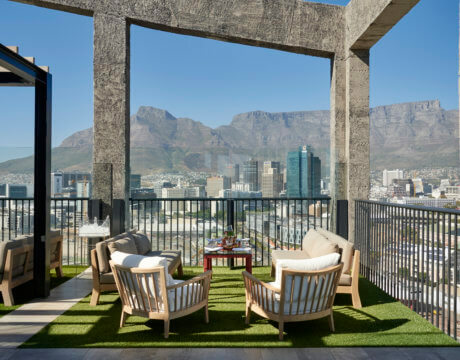 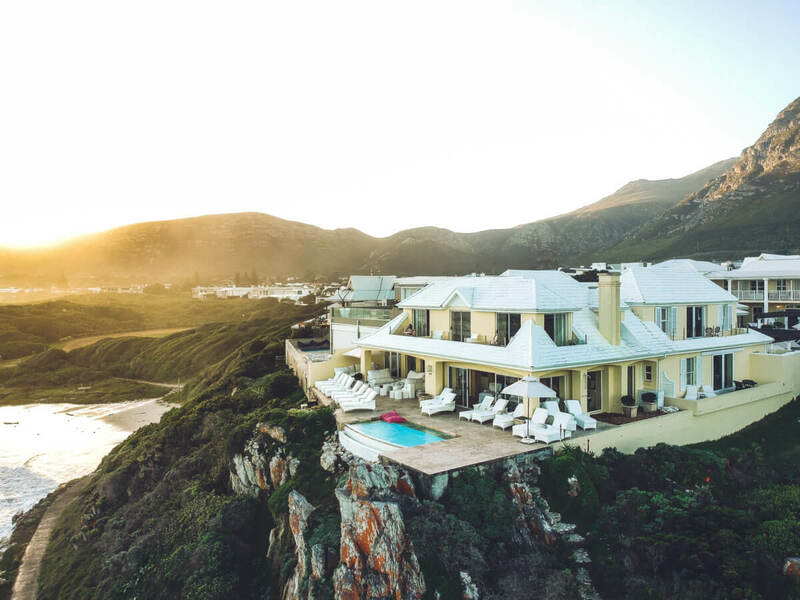 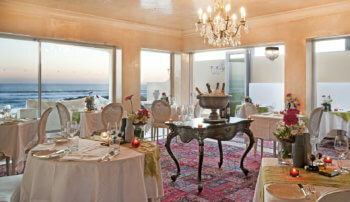 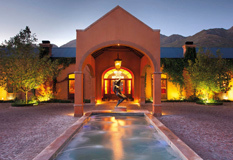 The perfect all-inclusive escape: Birkenhead House sets the standard for luxury Hermanus hotel accommodation. 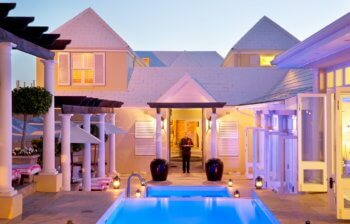 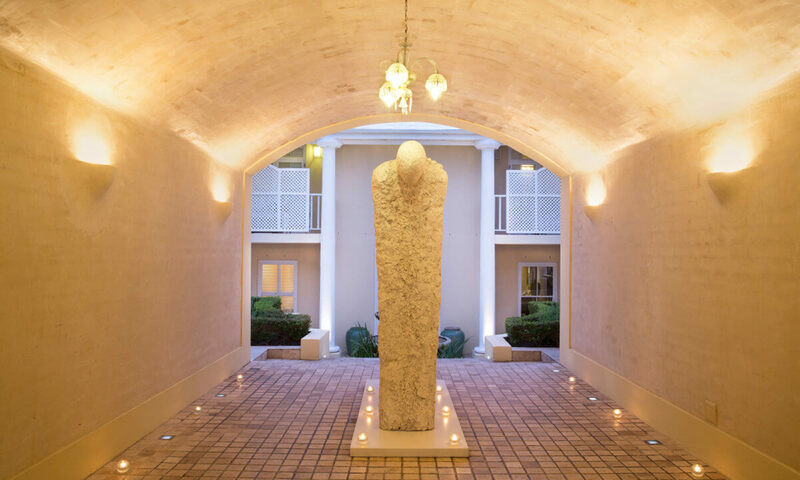 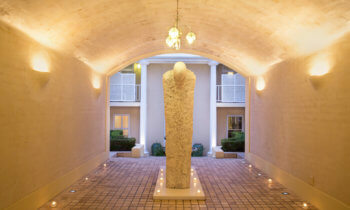 The central courtyard at Birkenhead House. 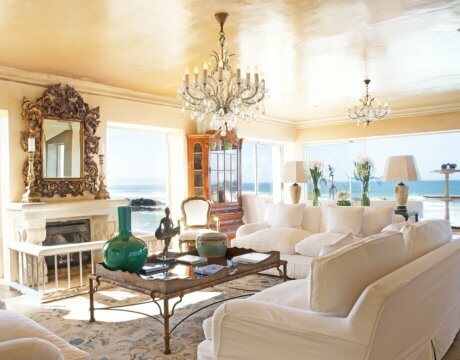 The main sitting room at Birkenhead House. 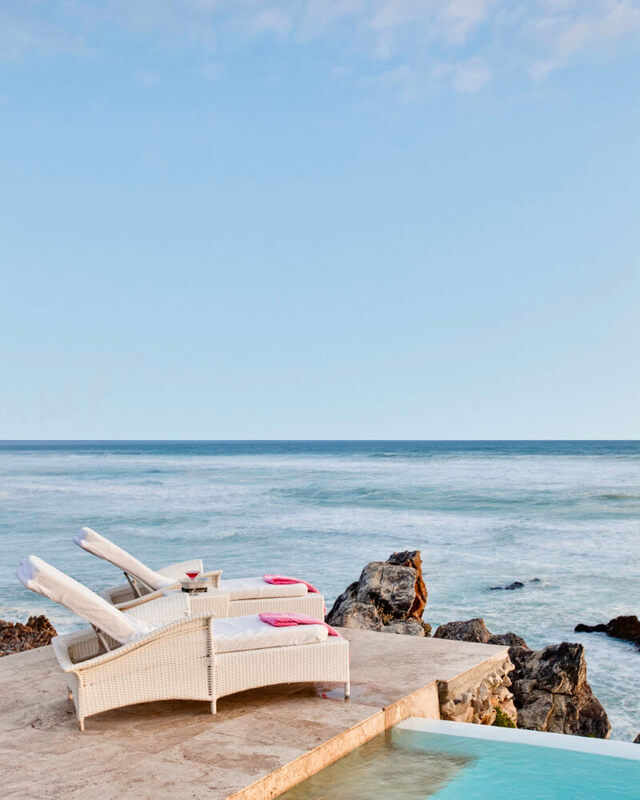 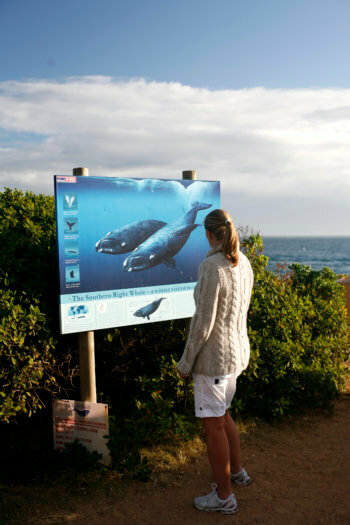 The ideal spot to relax and watch the whales go by. 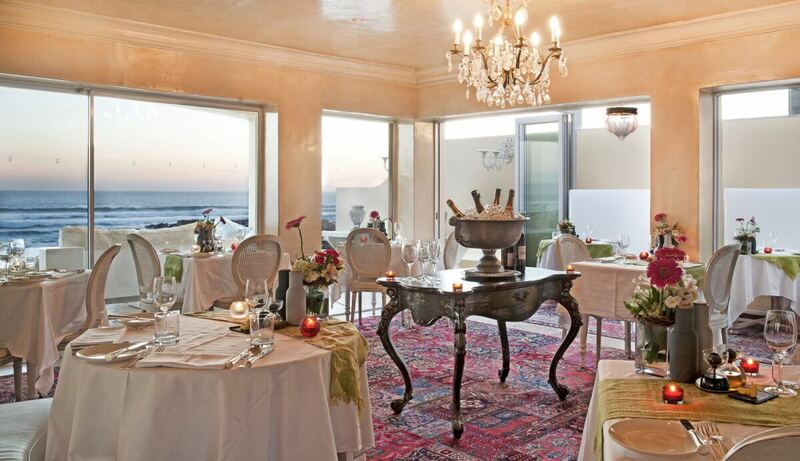 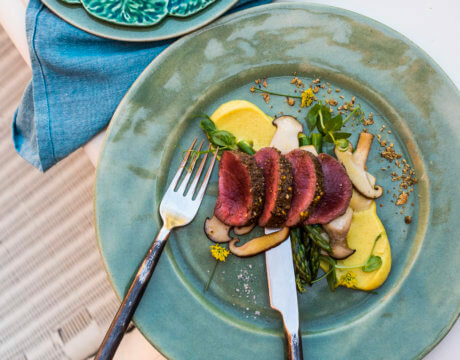 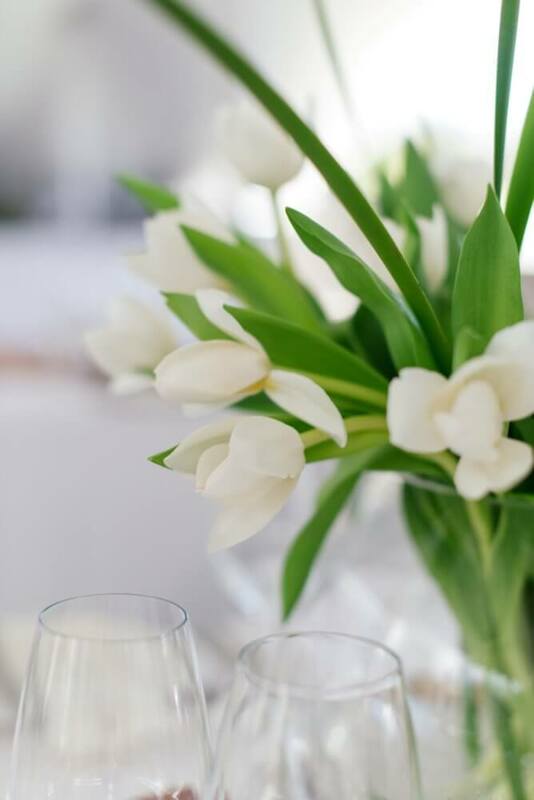 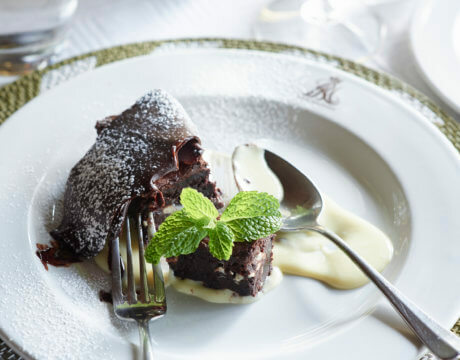 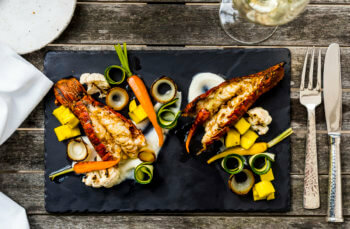 Experience delicious seasonal cuisine in the Birkenhead House dining room. 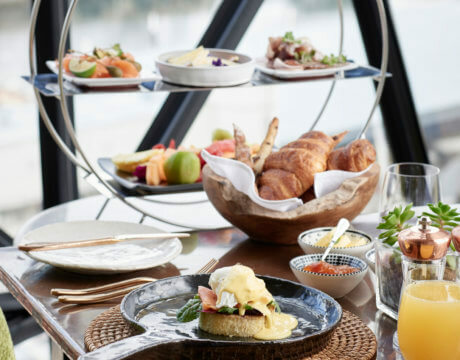 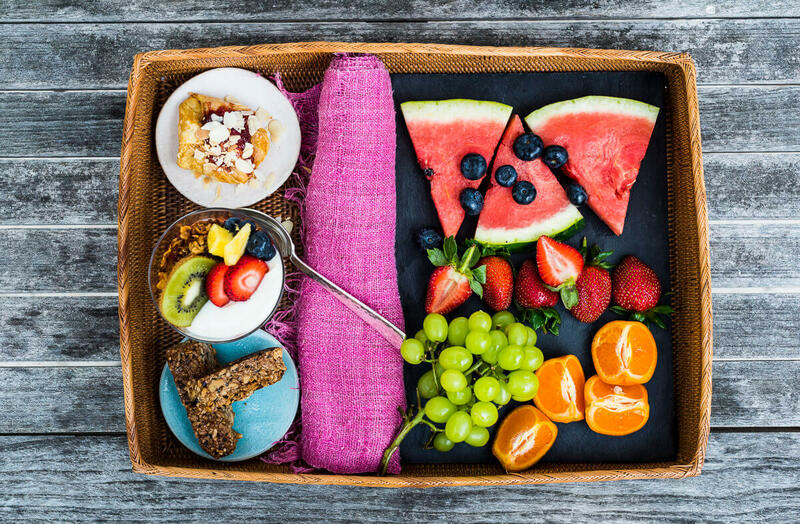 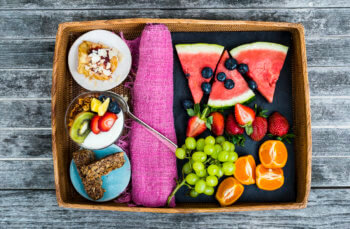 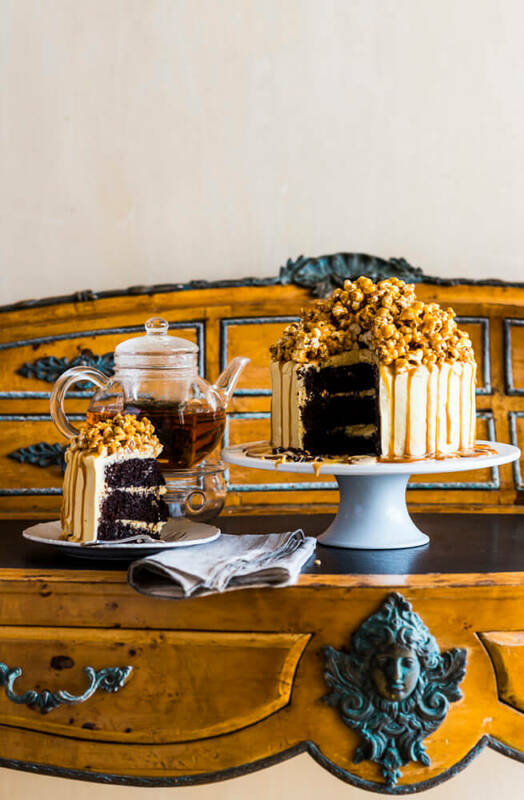 Breakfast on the front terrace at Birkenhead House is a magical experience. 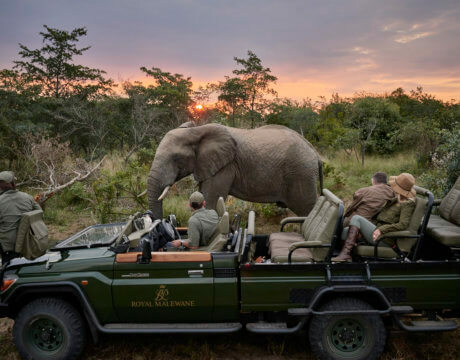 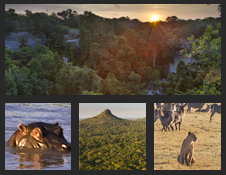 A spectacular image taken from Royal Malewane's head ranger, Juan, on one of his visits. 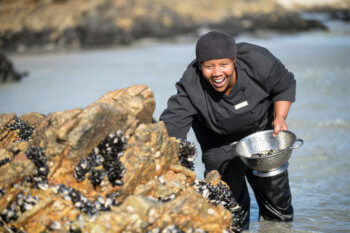 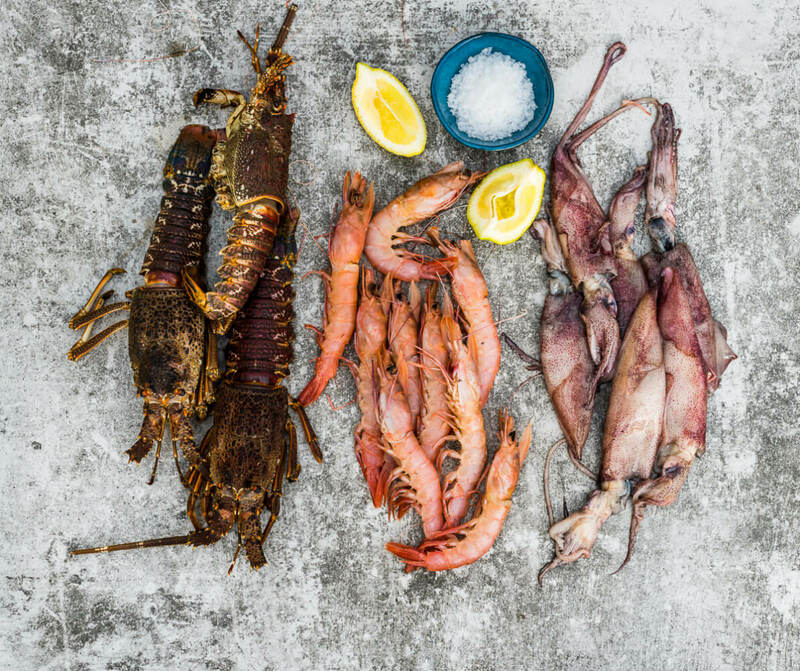 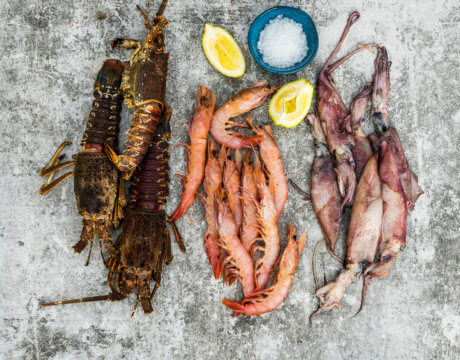 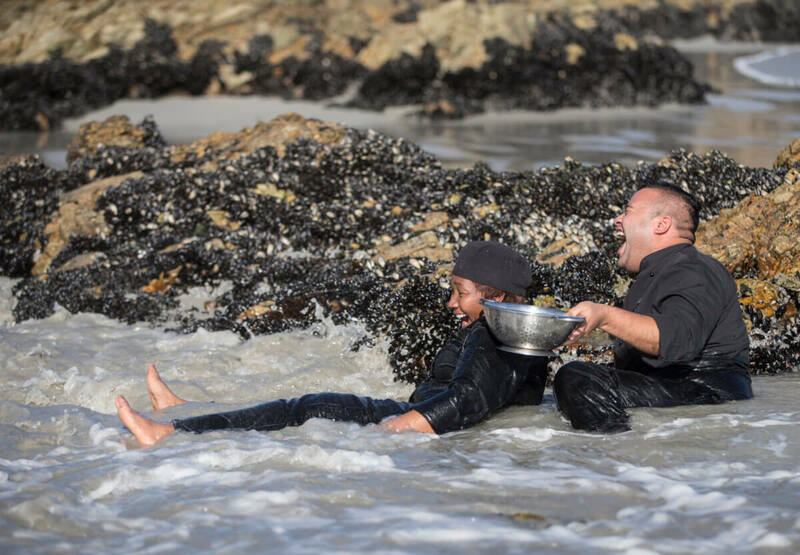 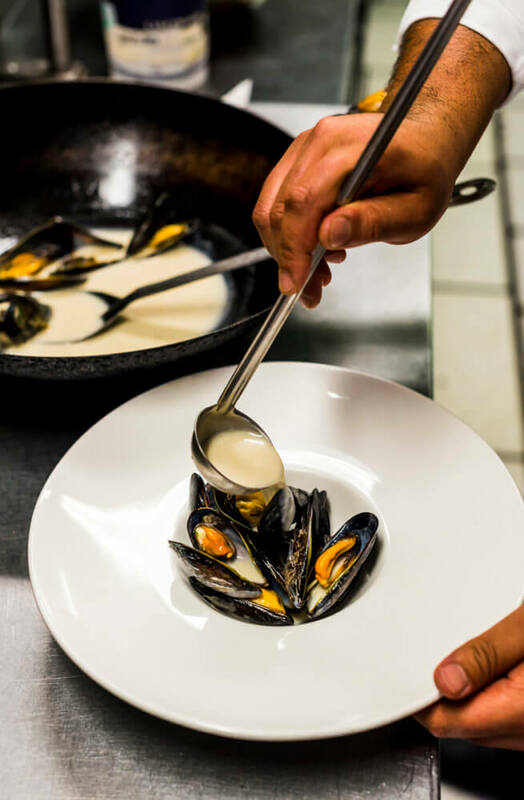 Guests are welcome to join our chefs when they go down to pick mussels from the rocks. 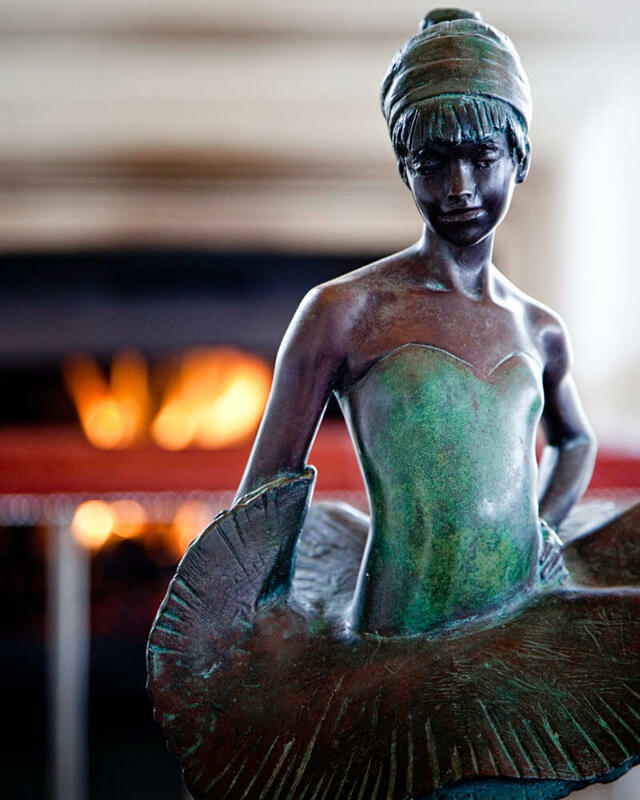 James Butler is one of the world's most distinguished figurative sculptors, this piece is titled "Dancer"
The dolphins frequently offer some spectacular "ocean theatre"
Spectacular sunsets on the front terrace at Birkenhead House. Find solitude by the sea. The curio shop has a number of colourful gifts. Crimson sunsets beyond the Atlantic. 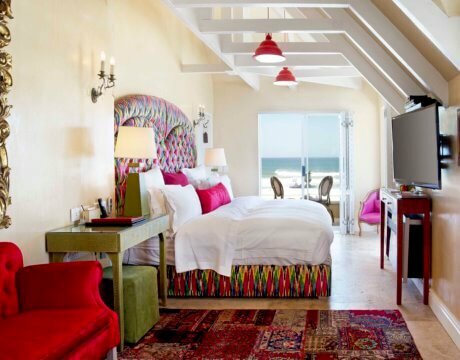 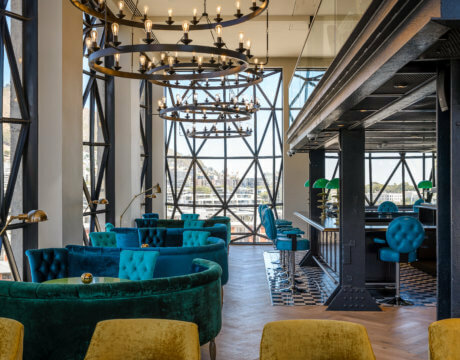 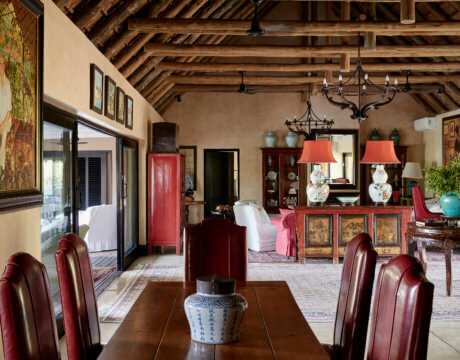 Eclectic design and style. 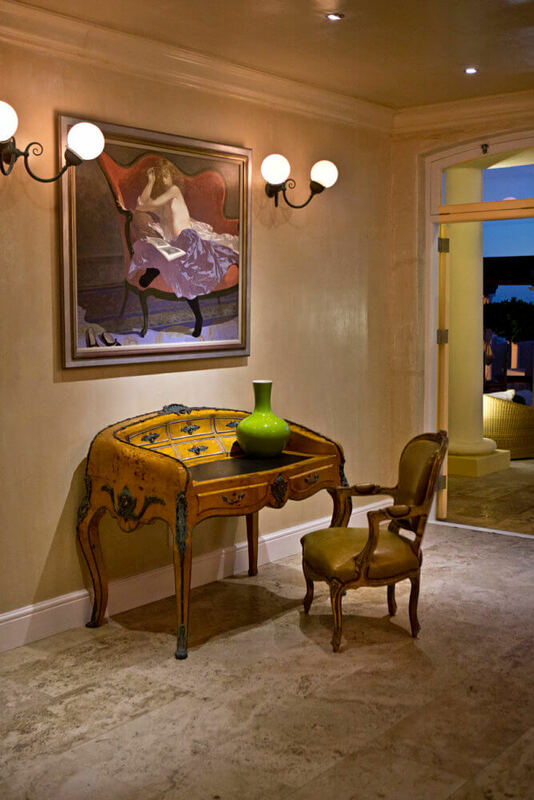 A beautiful Russian Teak desk. 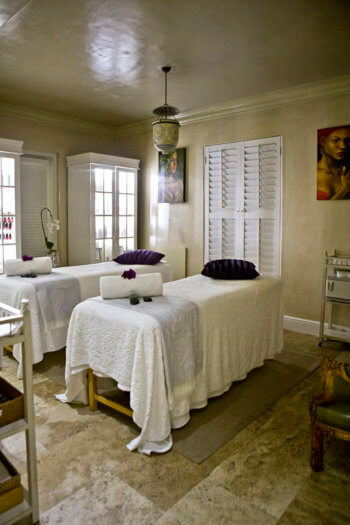 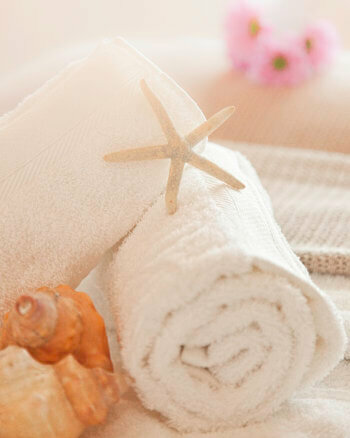 Choose from a wide variety of relaxing spa treatments. 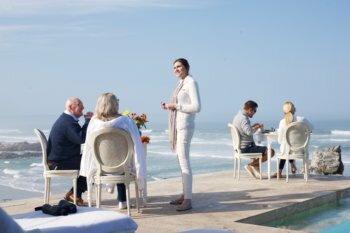 Spectacular sunsets on the main deck at Birkenhead House. 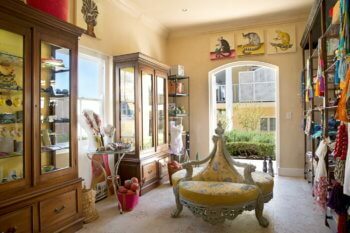 Eclectic design by Liz Biden.